Christina Schonberg is a Postdoctoral Research Associate in the LCD Lab. They earned a B.A. in Psychology from Northwestern University in 2011 and graduated with a Ph.D. in Developmental Psychology from UCLA in 2018. Christina studies the interaction between early word learning and conceptual development and is working on a joint project between the LCD Lab and the Lupyan Lab (UW-Madison Department of Psychology). 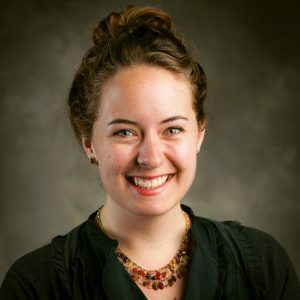 Catherine Bredemann is a fifth-year Ph.D. student and doctoral candidate in the Educational Psychology graduate studies program in the Human Development area. Catherine earned her B.S. in Psychology from the University of Illinois at Urbana-Champaign in 2014, where she first became involved in educational research. Her interests in cognitive development specifically lie in the study of how certain teaching and training methods influence a child’s language learning, memory, and performance in learning tasks. Catherine also intends to examine how developmental theory can be applied to teaching practices and educational materials, such as storybooks and educational apps, in order to improve young children’s learning in the classroom and in the home. Catherine is being advised by Dr. Haley Vlach. 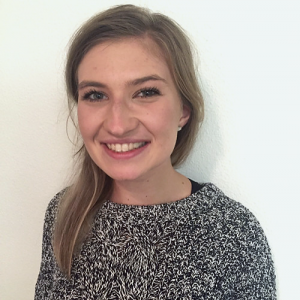 Melina Knabe is a second-year Ph.D. student in the Human Development area of the Department of Educational Psychology. Melina received her B.S. in Neuroscience from Washington and Lee University in 2017. Melina is interested in the effect of language learning history on early word learning and memory development. In addition to studying multilingualism, she intends to investigate individual differences in children’s ability to intentionally forget information. Ultimately, she hopes to apply her work to second language learning in the classroom. Melina is being advised by Dr. Haley Vlach. Emma Lazaroff is a third-year Ph.D. student in the Human Development program in the Department of Educational Psychology. Emma received her B.A. 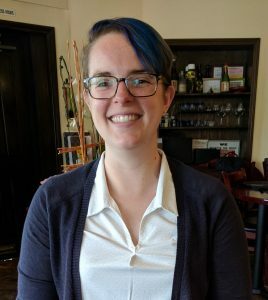 in Psychology from Quinnipiac University and was a lab manager at Boston College prior to pursuing her Ph.D. She is interested in how children use categories to learn about aspects of science and mathematics, as well as how they generalize this knowledge to increasingly complex concepts. In particular, her interests lie in determining how these concepts can be organized to help children most effectively synthesize information. Emma is being advised by Dr. Haley Vlach. Alexis Hosch is the lab manager of the LCD lab and recently earned her B.S. in Psychology and a Certificate in German from the University of Wisconsin – Madison. She plans on attending graduate school to pursue a Ph.D. in either developmental or clinical psychology. In her free time, she enjoys going to farmer’s markets, playing sports, and trying new foods with friends. Leena Abu-Zahra is an undergraduate research assistant in the LCD lab. She is currently a sophomore majoring in neurobiology with the intention of attending medical school for obstetrics and gynecology in the future. In her free time, she enjoys hiking, spending time with friends and family, and traveling. 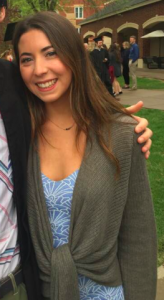 Sophia Africano is a research assistant in the LCD Lab and is also a senior at UW Madison, studying Psychology. She absolutely loves working with kids and has been babysitting, tutoring, and nannying for years. Once she graduates UW Madison, she plans to attend graduate school to pursue either school psychology or counseling. In her free time, she enjoys getting outdoors, traveling, and watching movies with family and friends. 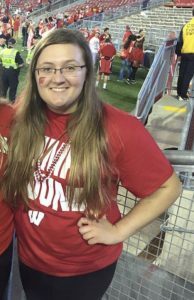 Maddie Bohrnstedt is a senior at UW-Madison majoring in psychology. 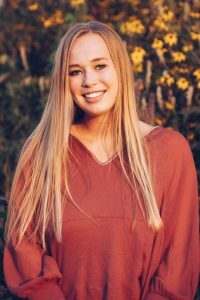 Maddie is aiming to go to graduate school to pursue a PhD in school psychology because she absolutely loves working with kids and wants to make a difference in their lives. 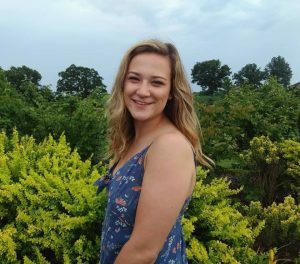 Maddie was a summer camp counselor and worked with kids with behavioral and emotional disorders for 2 summers and it sparked her passion for helping others. 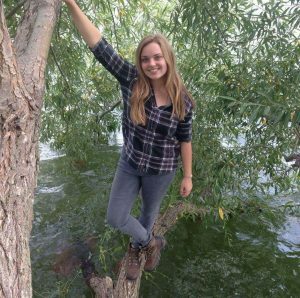 Maddie is an officer for the Badger Hunting Club and loves outdoor activities such as fishing, hunting, hiking, and camping. Courtney Cullen is a research assistant in the LCD lab and is beginning her senior year at UW- Madison. She studies Kinesiology: Exercise and Movement Science, with plans to attend graduate school for occupational therapy. Courtney loves to work with kids, and you can most likely find her going for a run, at a sporting event, cooking, or playing cards with friends and family in her free time! Karissa Ebert is a research assistant in the LCD lab and is a junior at UW-Madison. She is studying Rehabilitation Psychology with plans for certificates in Gender and Women’s Studies and Global Health. After earning her undergraduate degree, she hopes to attend graduate school for occupational therapy. In her free time, she enjoys hiking, kayaking, and writing. Melissa LaMeer is an undergraduate research assistant in the LCD lab. She is a senior who is majoring in psychology. After graduation, she plans to further her education through going to graduate school for school psychology. In her free time, she enjoys spending time with family and friends, dancing, staying active, traveling, and being outdoors. Kylie Lowen is an undergraduate research assistant in the LCD lab. 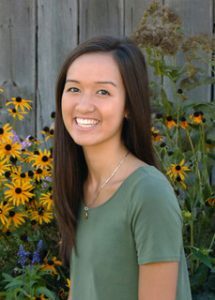 She is currently a senior at the University of Wisconsin-Madison studying Communication Sciences and Disorders with certificates in Educational/Educational Services and Global Health. After graduation she plans on attending graduate school for Occupational Therapy. She currently works with children with autism and hopes to continue working with differently abled people throughout her career. In her free time, Kylie enjoys going to Badger games and attending concerts on the square. Hailey Miller is a research assistant and sophomore majoring in Rehabilitation Psychology and Special Education. She loves to paint and draw and hopes to apply these interests by becoming an occupational therapist, specializing in art therapy and working with children with impaired fine motor functions. Hailey enjoys traveling and her favorite place she has visited so far is Amsterdam. Tyra Mills is a research assistant in the LCD Lab studying Kinesiology: Exercise Movement and Science. 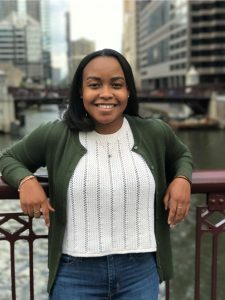 After graduating in the spring of 2019, she intends to take a gap year and apply for medical schools across the country. The impact mentors made upon her during her childhood encourages her to foster relationship and learn from children. In her free time, Tyra enjoys attending sporting events, reading books, and spending quality time with her friends and family. Natalie Miselem is a freshman research assistant in the LCD lab at the University of Wisconsin-Madison. She is double majoring in Psychology and Sociology with a certificate in Criminal Justice, with hopes of becoming a forensic psychologist in the future. 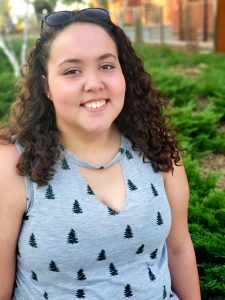 Outside of classes and homework, she enjoys spending time with friends, doodling, accompanying herself on piano, and performing in orchestra, band and musical theater shows. Francesca Przlomski is an undergraduate research assistant in the LCD lab. 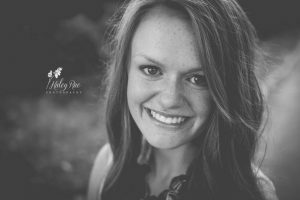 She is currently a senior at the University of Wisconsin-Madison studying Communication Sciences and Disorders. After graduation she plans on attending graduate school for Speech-Language Pathology. She hopes to one day work with children in a school setting. 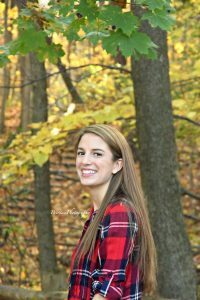 In her free time, she enjoys attending Badger football games, playing tennis, listening to music, and spending time with her family and friends. Annie Salcedo is an undergraduate research assistant in the LCD Lab. She is a sophomore at UW-Madison studying Psychology with a certificate in Criminal Justice, and studies Russian. After graduation, she plans to go to graduate school to pursue a PhD in psychology, and eventually become a professor at a university and conduct research. In her free time, she likes to spend time with friends, read, and to go to the farmers market. Madeline (Maddie) Schebil is a research assistant in the LCD lab and is a Junior at the University of Wisconsin – Madison. She is majoring is Communication Sciences and Disorders with a certificate in Education Policy Studies. She hopes to attend graduate school to become a Speech Language Pathologist. Maddie loves to spend time with her friends and family, cook, and watch documentaries! Lindsay Schoff is an undergraduate research assistant in the LCD Lab. She is a senior at the University of Wisconsin- Madison studying Human Development & Family Studies and Communication Sciences & Disorders. 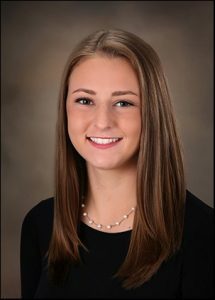 After graduation she plans to attend graduate school for Speech-Language Pathology, with an ultimate goal of working in a NICU. Outside of school she enjoys playing volleyball, hiking, hanging out in a hammock, going to the farmers market and sunsets at the terrace. 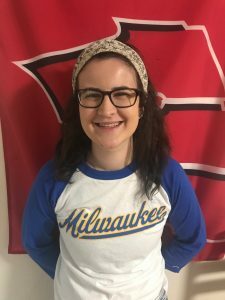 Tess Shinbaum is a research assistant in the LCD lab and a junior at University of Wisconsin-Madison, majoring in Communication Sciences and Disorders. In the future, Tess plans to attend graduate school to become a Speech-Language Pathologist for children. Tess has always had a passion for working with children and is excited to turn it into a career. When she isn’t studying, Tess loves to write, shop and spend time with friends, family and her two dogs. 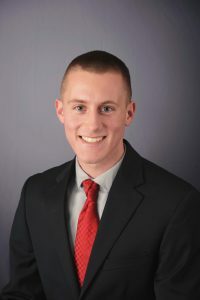 Nathan Simon is a junior research assistant in the LCD Lab at UW-Madison. He is double majoring in History and Psychology. He plans to complete a dual JD/Ph.D program after undergraduate education with a goal to be an attorney in either education or criminal law. In his free time, Nathan enjoys long-distance running, freelance photography, and going on road trips to national parks. Kayla Siok is a research assistant in the LCD Lab and a freshman at the University of Wisconsin-Madison where she is studying nursing and psychology with a certificate in global health. She hopes to attend graduate school and become a nurse practitioner who specializes in working with children. She has worked at a daycare for the past three years and plans to continue this field of work in upcoming summers. In her free time she loves to hike, read, cross country ski, spend time with family and friends, and play the piano. 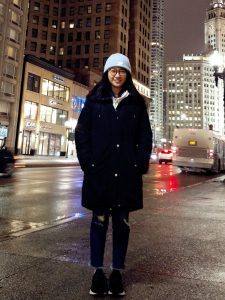 Yi Tong is currently a junior at University of Wisconsin-Madison majoring in Psychology and Human Development and Family Studies. But she is planning to graduate next spring semester. She likes to interact with young children and is very interested in children’s language learning. She also plans on attending graduate school in educational or developmental psychology after graduating from college. In her free time, she likes to read, write, play piano, drink tea, and spend time with her family and friends. 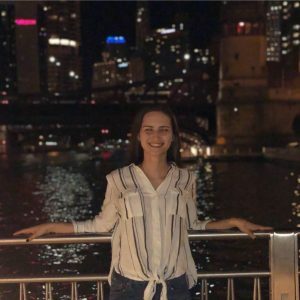 Elena Valentyn is a research assistant in the LCD lab and is a current sophomore at the University of Wisconsin-Madison. She is studying Neurobiology and is receiving certificates in the Health & Humanities and in Integrated Studies in Science, Engineering, and Society. She plans to attend medical school and become a pediatric neurologist. In her free time, she loves reading, running, and hanging with family and friends. 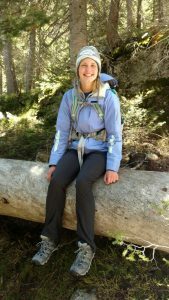 Ellen Weber is a research assistant in the LDC lab and is a current junior at the University of Wisconsin-Madison. She is studying Communication Sciences and Disorders and is receiving a certificate in Education and Educational Services. She plans to further her education in graduate school in order to become a speech-language pathologist in the future. She loves working with children and has been a nanny for many years. In her free time she enjoys traveling, trying new restaurants, and spending time with her family and friends. Natalie Worman is a freshman student and an undergraduate research assistant in the LCD lab. She is interested in Occupational Therapy and plans to major in Spanish and Biology. Outside of studying and spending time with family, Natalie enjoys working with kids, doing ceramics, running, kayaking, and other outdoor activities.